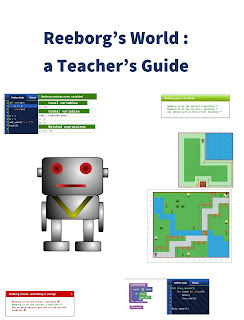 After more than a year of rewriting, reorganizing and adding features, a new version of Reeborg's World is finally available. I have done some fairly extensive testing ... but there's nothing like having other users testing it to discover bugs. I'm hoping to eliminate any remaining bugs by September, in time for the new school year. As I started to write documentation explaining the new features, I quickly realized that there were a lot of things to be described … so many in fact that it has become a book titled Reeborg’s World: a Teacher’s Guide. The book is not finished yet but it is available online.